We had such a great time chatting with Workshop Event’s MD, Richard Breatnach, we asked him to help us plan our mermaid themed birthday party. He politely declined, citing creative differences. Every job is different and we’ve no idea what the next one will look like until we go through the creative process. My marriage and my children. Venues – hasn’t it always been thus? Finding the right one that’s available when it’s needed. Playing soccer and reading books. People aren’t more civil to one another in everyday life. Currently the Hyatt Regency in Sydney but it changes all the time. Australia and I made it – 23 years ago this year. And I’m still here – how lucky am I. A mug of Earl Grey tea in the morning. Barack Obama, Eric Cantona, Jesus, and my Dad. For anyone starting out in the industry one piece of advice I’d give would be…. Approach everything with enthusiasm, honesty and integrity, do your best and you’ll be rewarded. Would you like to take part in our Big Cheese interview? 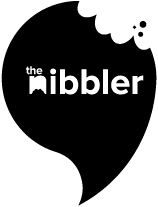 Get in touch with the Nibbler Editor Ali Coulton here to get the ball rolling. This week, we met FiftyFive3 founder Tamara Kobiolke for a quick coffee or five. Oh, and this interview. Professional Emcee, Keynote Speaker, Author of Eat, Drink & Succeed!, Television Commentator and former White House advisor. Is there anything Laura can’t do? !